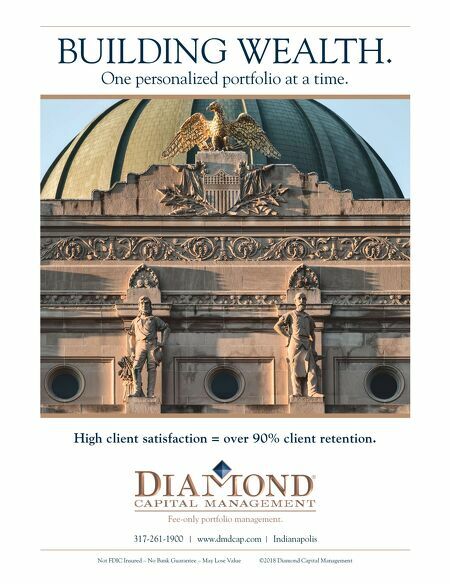 317-261-1900 | www.dmdcap.com | Indianapolis Not FDIC Insured – No Bank Guarantee – May Lose Value ©2018 Diamond Capital Management High client satisfaction = over 90% client retention. BUILDING WEALTH. One personalized portfolio at a time.